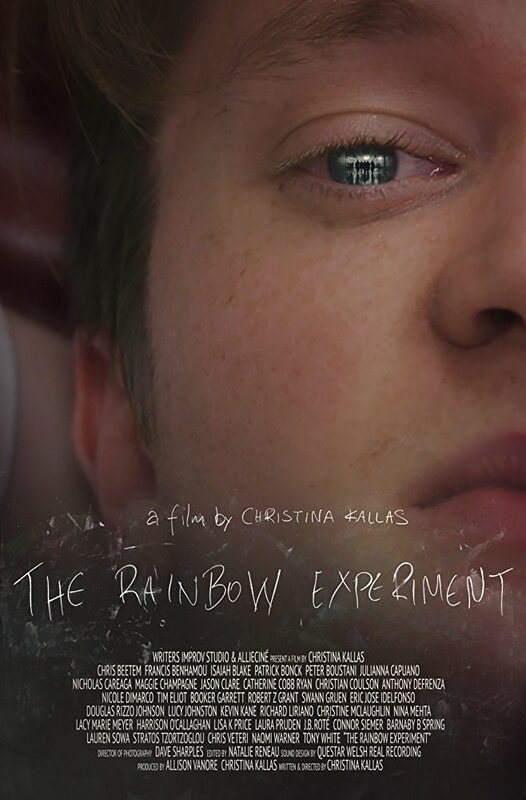 Christina Kallas's THE RAINBOW EXPERIMENT follows the threads leap up to and out of a high school science experiment that goes wrong and injures one of the students. Told out of order and with jumbled perceptions the film asks us to ponder reality and how we know what we think we know. 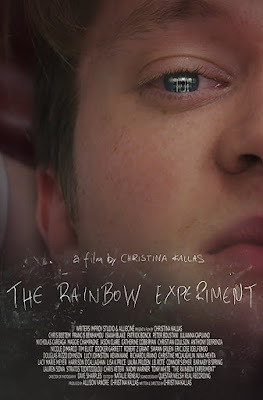 Made with great skill and style THE RAINBOW EXPERIMENT is technical tour de force. director Kallas has mad a film whose technical virtuosity is a to be admired. Using various styles, tricks and shooting methods Kallas has made a film that uses almost every cinematic trick that you can think of to make a film that leaves one in awe. It's a daringly made film forces you to sit up and take notice. Unfortunately once you get past the technical mastery the film runs into some problems. The first being there is simply way too much going on for the film to deftly handle it all. Running an overlong 129 minutes the film has a huge cast of characters all with their own plot threads which connect up to the central thread. Its lot to take in and keep straight something that is complicated by Kallas's fragmented narrative and busy visual style. I lost my way a couple of times, or at least felt I did because I was constantly juggling all of the details. Give Kallas many points for realizing people can follow complex narratives, but take a few away for muddying the waters a bit too much. To be perfectly honest I kind of gave up on a lot of it by the half hour mark and just let things wash over me. The cast is uniformly excellent and they manage to make pretty much every role, no matter how small seem grounded. Unfortunately there is one problem with the casting and that almost everyone in the cast seems to be roughly within ten years of age of each other. That would be fine except many of the adults don't seem to be old enough to have kids in high school; nor would an entire school staff seem to be under 35. It becomes distracting.